The set of “Morning Joe” seemed crestfallen on Wednesday after President Donald Trump’s physician informed the world that his patient was in tip top mental and physical condition. 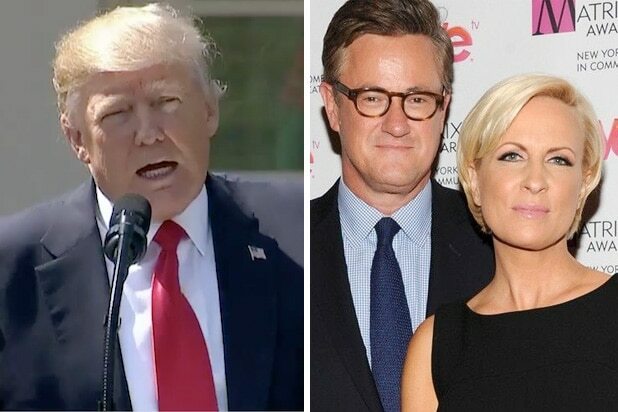 Show co-host Mika Brzezinski said news of the president’s full mental and physical fitness actually made her feel worse. With the “president has dementia” argument defanged, the set regulars instead devoted time to challenging the president’s weight and reported some so-called — “girther” rumors — who said there was no way Trump was only 239 pounds, as his physician reported yesterday. “We won’t question the doctor,” said co-host Joe Scarborough before immediately moving to question the doctor. “I know somebody who is 6’3” and weighs close to 239 pounds and all I can tell you is this, if that’s what 239 pounds looked like, I would weigh 170 pounds,” he said through his own laughter.